Following yesterday’s HP TouchPad fire sale of what may be the last official stock of HP’s tablet device, I began wondering what this mysterious piece of hardware was all about. As a result of writing for this website, I generally have my hands in and around of lot of tech, but for some reason this device has escaped me. That’s probably because it seems to be escaping everyone else too! There have been many tech devices that have gone by the wayside ever since technology has taken over most of our lives and the TouchPad is not much different. This device only had a retail life of about 47 days (from July 1 to August 18, 2011). In fact, on August 16th, Best Buy (BBY) reported it had only sold about 25,000 units of the 270,000 units it had in company-wide inventory and was refusing to pay HP for the remaining units! This whole debacle was starting to look like the Atari E.T. game fiasco! As a result of this, HP was forced to clear out the remaining inventory by lowering the prices to $99 for the 16GB model and $149 for the 32GB model. 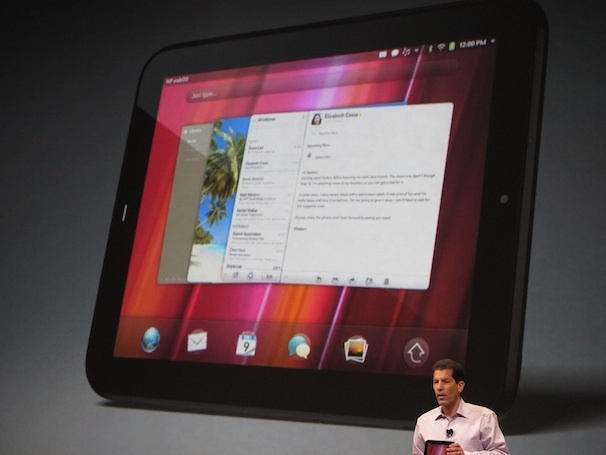 Just as HP felt like they were moving past the whole Touchpad “problem”, there was a sudden surge in interest. During the price breaks, large amounts of buyers suddenly came knocking on HP’s retail door and bought every last unit. Along with HP, other retailers like Amazon, Barnes and Noble and of course Best Buy all sold out and in many cases, had to cancel unfulfilled orders. After this huge second coming, HP decided to make another production run, not only to satisfy these remaining orders, but also to exhaust their manufacturer’s supplies of touch panels, batteries and Touchpad chassis. This new production run and all others before it made HP the second largest seller of tablet devices after Apple from January to October 2011. After yesterday’s sale, the future of this device is unknown, but according to HP, the future of webOS—the software running on the TouchPad—is bright. HP CEO, Meg Whitman annouced that webOS would continued to be developed as an open source project while continuing to be used in many future HP devices. If this proves to be true, not only will that keep the TouchPad alive, but it could also keep the door cracked for HP to re-enter the tablet marketplace. All that’s left about the TouchPad on HP’s website is a support page and a store link selling accessories. However, the good news is that HP plans to keep the lifecycle current. As far as webOS is concerned, it is known that webOS will continue to live, but there’s no telling when newer devices will begin to appear. HP says this could happen in 2012, but are leaning more towards 2013. Either way, leaving webOS out there as an open source project will put it in a great position to compete with Android, while iOS continues to be very closed source. There’s no telling what all this means in the tablet space, but one thing is for sure: Apple is still the king and the endless debate of whether lower priced tablets such as the Kindle Fire and HP Touchpad will shake them from the throne will continue. What we know at this point is that HP’s final production run of the TouchPad was exhausted early in the evening yesterday via HP’s eBay store and the only way to get them now is to purchase from existing retailers that still have them in stock or from other eBay auctions not related to HP. However, don’t expect to get them at their fire sale prices—especially with Christmas just around the corner! I keep missing the boat on this one. When the device was first announced, I was an iPad owner. When it died the first time, I couldn’t have cared less. When it was resurrected, I no longer owned an iPad and was already looking at Android tablets. By the time I heard about the TouchPad again, it was already gone. I now own a Kindle Fire and because I wasn’t paying attention this time either, I missed the second life (and apparently last) of the TouchPad yesterday! Now, I’m kind of interested in seeing it in action, but I’ll just have to wait. ← HP Touchpad Not Sold OUT! For sale now on eBay!